Lesbian Style draws on interviews I have conducted with lesbian and bi women in Ireland and England as well as incidents from my own life to explore the ups and downs of lesbian existence. 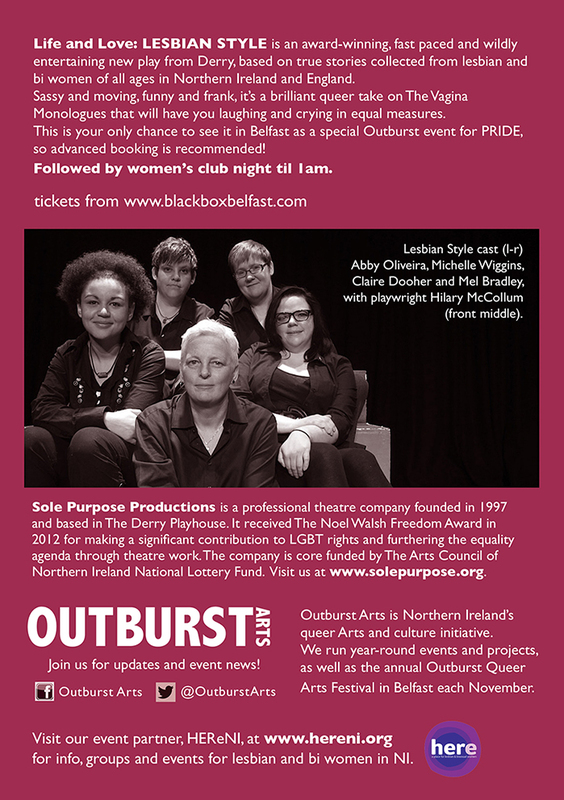 It was also performed in Derry in May and as part of Belfast Pride in July 2014 with support from Outburst and Sole Purpose Productions. It was performed at the WOW festival in Derry in November 2014. It has received great reviews and received the Eva Gore Booth award for best female performance at the International Dublin Gay Theatre Festival. It was also nominated for the Oscar Wilde award for best new writing. Lesbian Style is my first full length play. It was developed with support from Sole Purpose Productions theatre company. Its selection for the International Dublin Gay Theatre Festival follows on the success of my ten minute play, Coming Out: Lesbian Style, in Acting Out’s evening of LGBT plays for National Coming Out Day in Dublin in October 2013 where it received the award for the play that best summed up the spirit of pride. 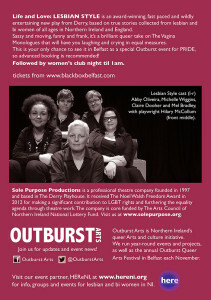 Lesbian Style was performed to a sell out crowd in Belfast in July 2014 with support from Outburst Queer Arts. 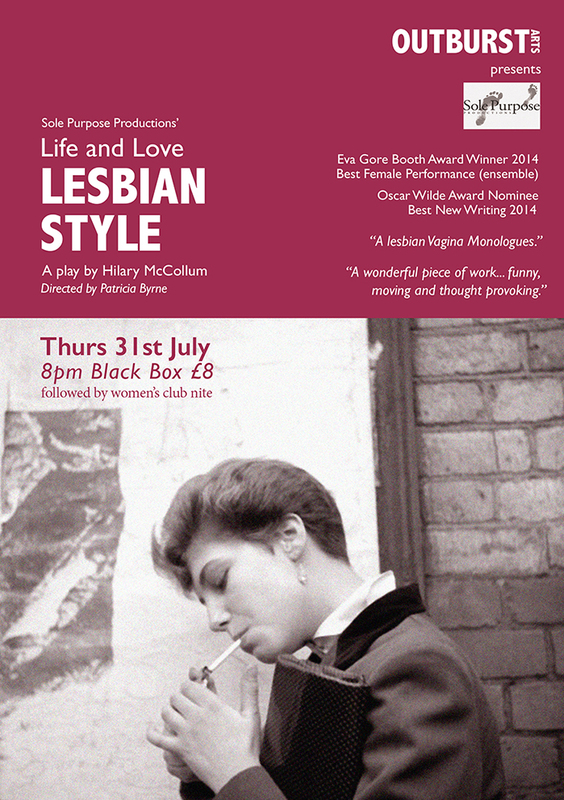 An extract from Lesbian Style is included in Queer and Celtic: On the Irish LGBT Experience.